A multimeter is an electronic measuring instrument that combines several measurement functions in one unit. 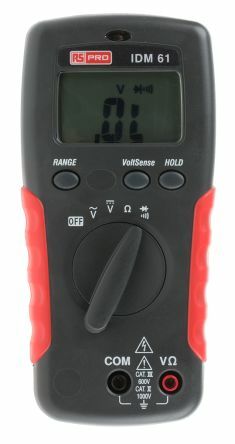 A typical multimeter can measure voltage (AC or DC), current and resistance. Analogue multimeters use a microammeter with a moving pointer to display readings. 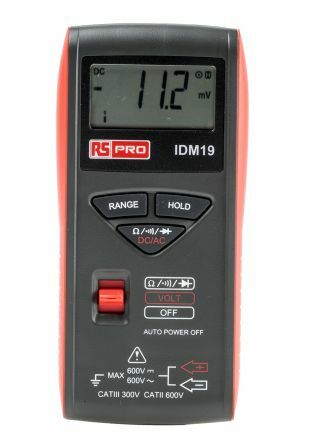 The primary difference between a digital and analogue multimeter is the display, an analogue multimeter uses a needle to show the value, while a digital multimeter will show the results as numbers on a screen. The Analogue Multimeter or VOM (Volt-Ohm-Milliammeter) is constructed using a moving coil meter and a pointer to indicate the reading on the scale. The moving coil meter consists of a coil wound around a drum placed between two permanent magnets. As current passes through the coil, a magnetic field is induced in the coil which reacts with the magnetic field of the permanent magnets and the resultant force causes the pointer attached to the drum to deflect on the scale, indicating the current reading. It also consists of springs attached to the drum with provides an opposing force to the motion of the drum to control the deflection of the pointer. 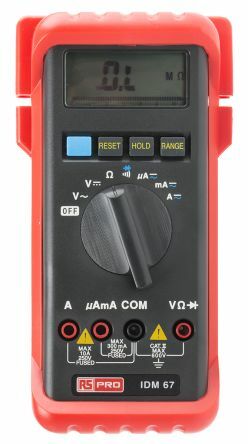 An analogue multimeter is used to check for AC or DC voltages, resistance and continuity of electrical components, and small amounts of current in circuits. This instrument will let you check to see if there is voltage present on a circuit. By doing so, a multimeter can help you achieve a variety of useful tasks, such as measuring ohms, volts, and amps. 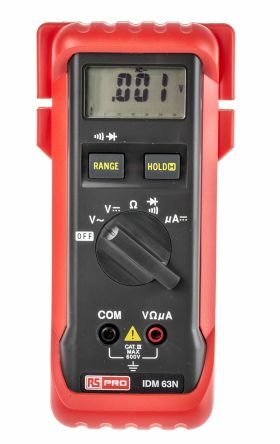 An analogue multimeter is a widely used piece of test equipment used by electronic technicians and engineers and can be used for testing batteries, household wiring, electric motors and power supplies. ● Analogue movement: The meter needle gives a continuous movement from which it is very easy to gain a fast idea of the order of magnitude, or of trends for slowly moving changes. ● Availability: Analogue test meters may well be available when digital ones are not. ● Multiple scales: Any multimeter will have a number of different scales and these can cause confusion. They were often a cause of error. ● Lower input resistance: Using analogue technology, analogue multimeters did not provide such a high input impedance as a digital one. Understanding when this may be an issue is a key element of knowing how to use an analogue multimeter. ● Polarities of test leads: Analogue multimeters do not have an auto-polarity function. Therefore it is necessary to correctly connect the test leads, otherwise the meter could deflect in a negative direction and quickly hit an end stop.